What a year 2016 has been for epic drone photography! Last year there were over 12,000 photos tagged with #fromwhereidrone and I am happy to share that this year on Instagram there are now almost 90,000! So below is a compilation of the top 50 most beautiful, dynamic, creative and engaging drone photos of 2016 from the #fromwhereidrone community. I’ve compiled this list based on several engagement and community factors for photos that were posted to the @fromwhereidrone social channels, like how much a photo has been liked, commented on, and shared by others on Instagram, Twitter and Facebook. I did this using the stat information websites Iconosquare, Socialbakers and Gabstats. If you enjoyed this post could you please do me a HUGE favor and share it?! Your support in this way truly does help more than you think! Thanks so much! Check out last year’s 2015 Best Photos of the Year and be sure to follow @fromwhereidrone for more daily drone inspiration. 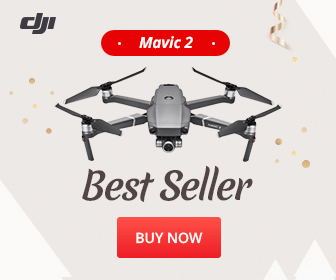 Pingback: Buying A Drone | What Drone Should You Buy? Take The Quiz!